It de-stresses, it tones your abs, it energizes and of course it seduces! Belly Dance! Last, took place on Mon, 04 Jun . Dates for upcoming sessions will be announced shortly. So you were spellbound when you saw Katrina do those ahh-some moves in Sheila ki jawani. You too can learn it. If you have the will, we will find you a way. Arts in Motion, one of the popular dance classes in Mumbai conducts an entire melange of dances at their studio at Sion. So those hip drops, circles, figure eights and shimmies will not only be a treat to watch but would also do oodles of good to your body and posture. With Belly Dancing classes, you get to burn lot of calories and your arms and shoulders get automatically exercised when doing lifts, circles or the rippling motions of snake arms. Moreover Belly Dancing will also help you de-stress and give you that much needed rejuvenation. Arts in Motion is one of the well known dance classes in Mumbai. The Dance Studio was established in 2004 to provide quality education in choreography and staging support to institutes and individuals devoted to the teaching of proper techniques of dance, posture and movement in a creative and healthy atmosphere. The proprietor, Aanchal Gupta, had long held a dream to promote dance - classical or modern, Indian or Western, all under one roof, in one institute - a studio, where she could break down the elitist barriers surrounding dance, making it available to everyone, from an absolute beginner to an advanced professional. Where a student of Jazz had the facility to enroll for an Odissi class or a teacher of Bharat Natyam could learn to appreciate Salsa. 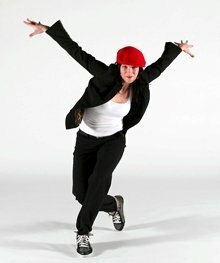 Learn B-boying/B-Girling, one of the most challenging and exciting form of dance! Complete workout for your body, mind and spirit. Power Yoga! We have requested Arts in Motion to get in touch with you. Alternatively you can speak to Ms. Anchal Gupta from Arts in Motion at: +91-+91-9820183231 , in case you would like an immediate response. 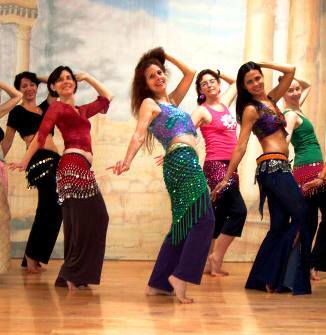 You will now stay updated about, Belly Dancing Classes.